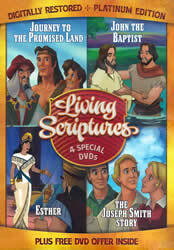 Enjoy four of your favorite Living Scriptures remastered and digitally restored on DVD. These four special DVDs include 'Journey to the Promised Land', 'John the Baptist', 'Esther' and 'The Joseph Smith Story'. 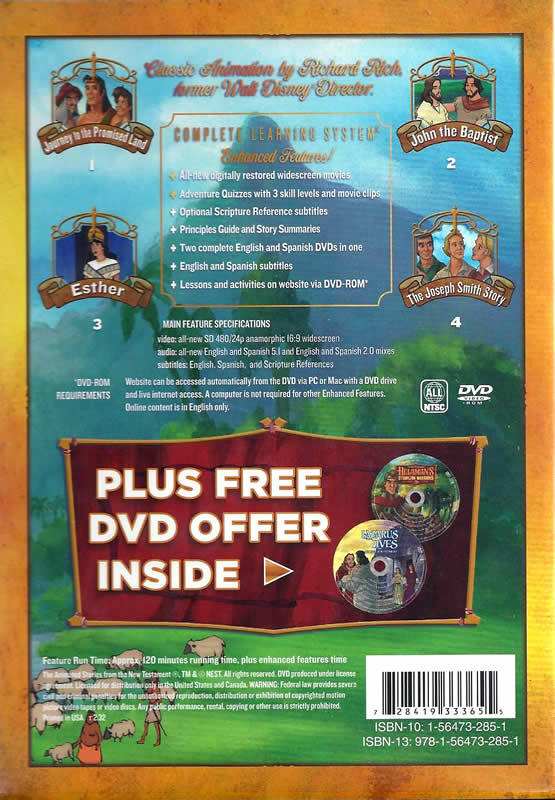 The Complete Learning System™ with enhanced DVD features include adventure quizzes with 3 skill levels and movie clips, optional scripture reference subtitles, and English and Spanish subtitles. 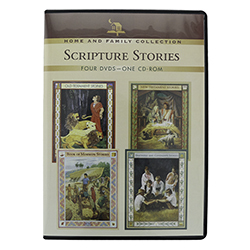 These DVDs play both English and Spanish audio that can be played in DVD players worldwide. 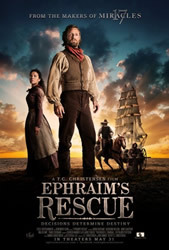 Enjoy over 120 minutes of total run-time with your family! 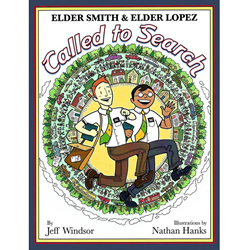 Got this for my son for Christmas as a fun and interesting way to get him to start learning about the scriptures. I enjoyed these as a kid and my children enjoy them now. 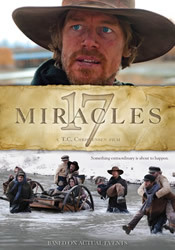 I hope further DVD collections come out in the future. Our children grew up watching these videos and now that they are married, we want their future children to enjoy them as well.